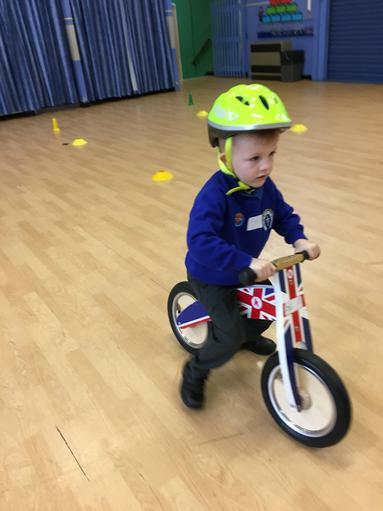 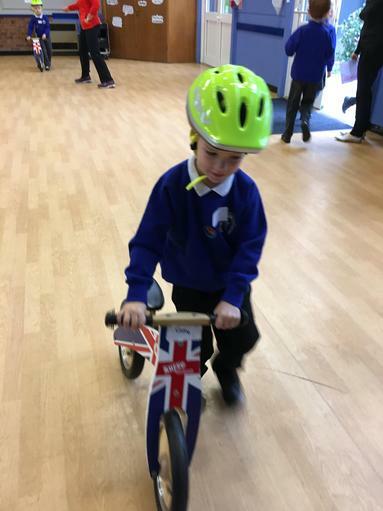 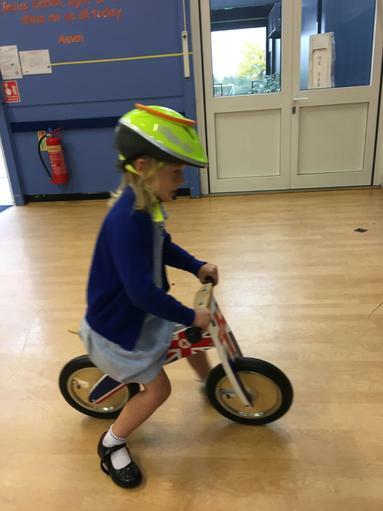 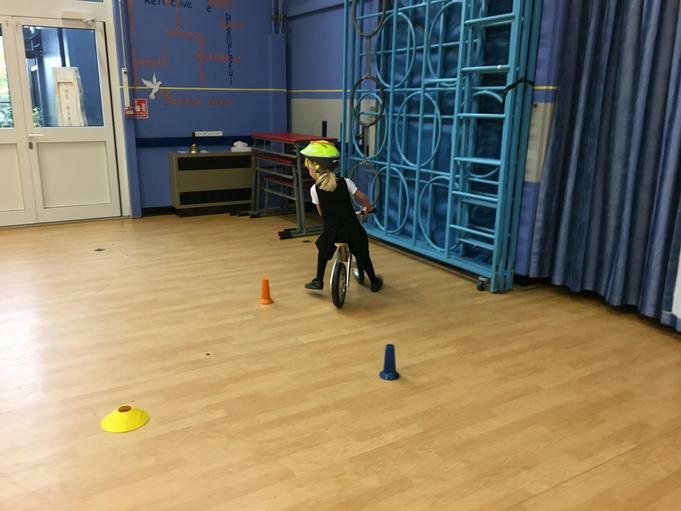 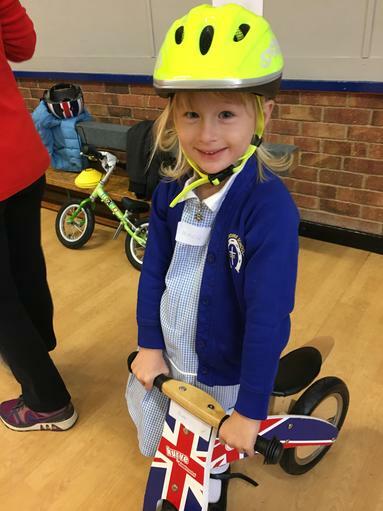 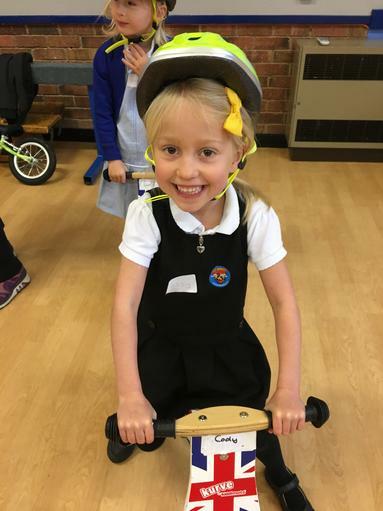 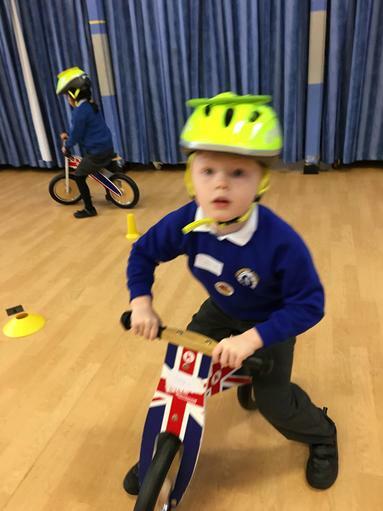 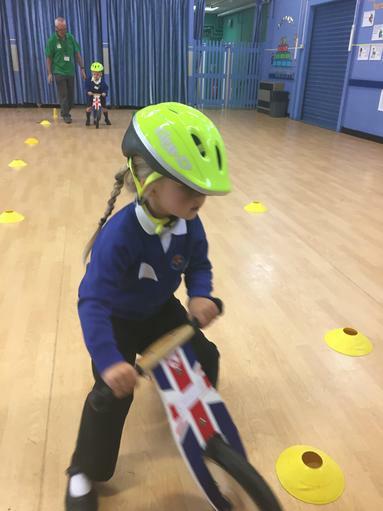 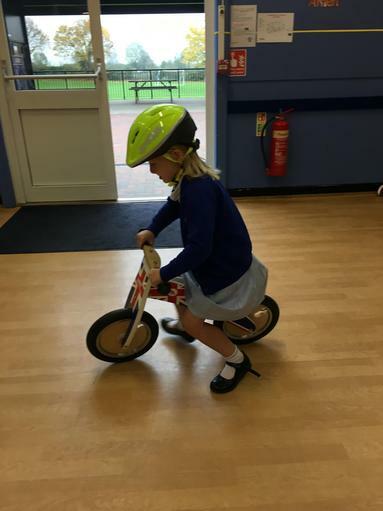 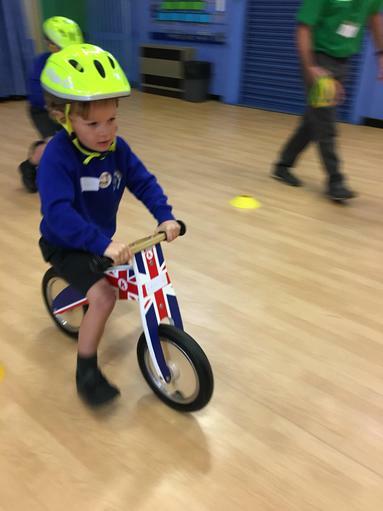 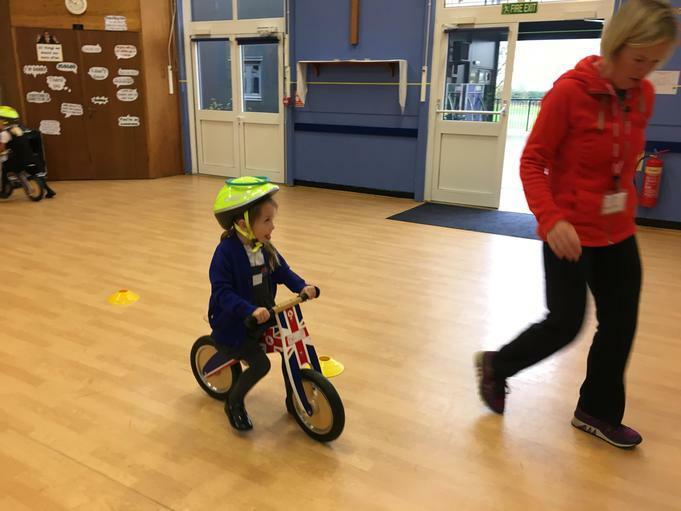 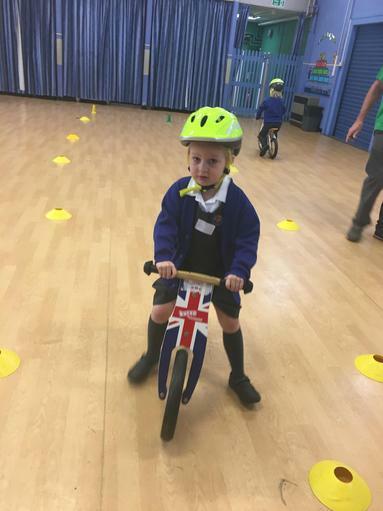 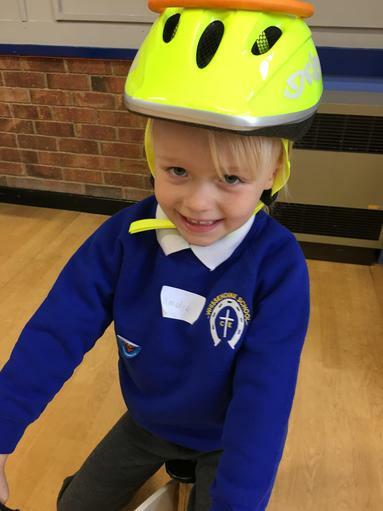 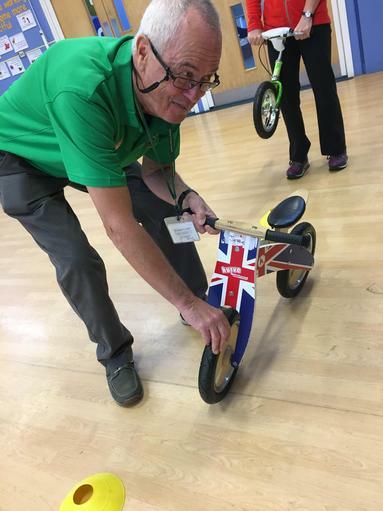 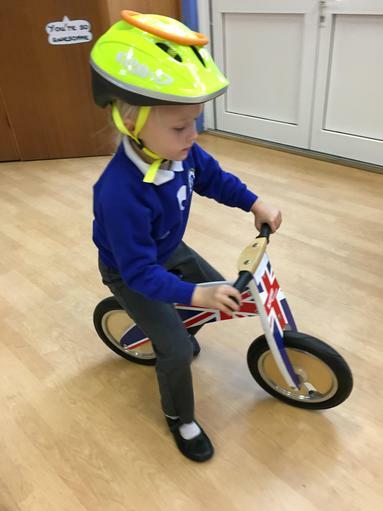 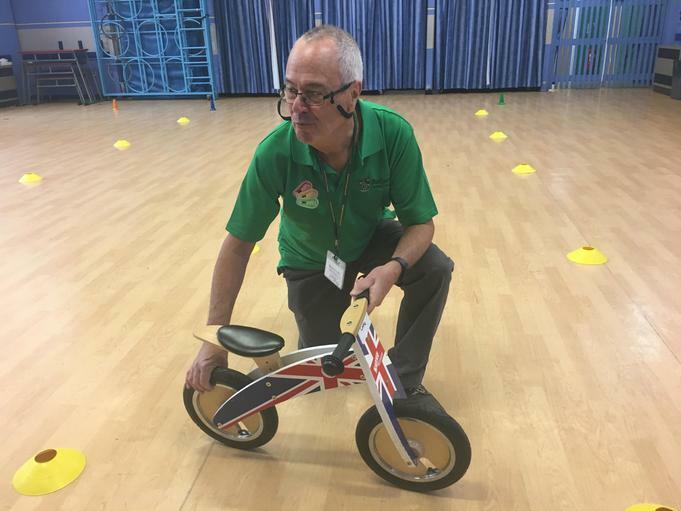 First of three Balance Bike sessions today. 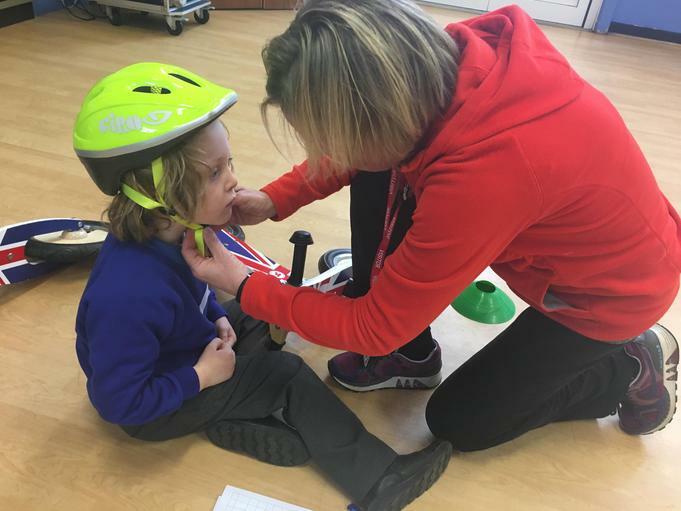 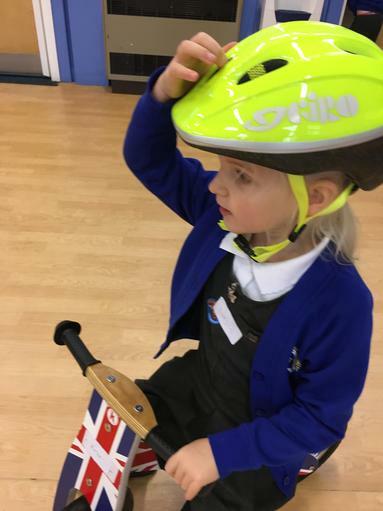 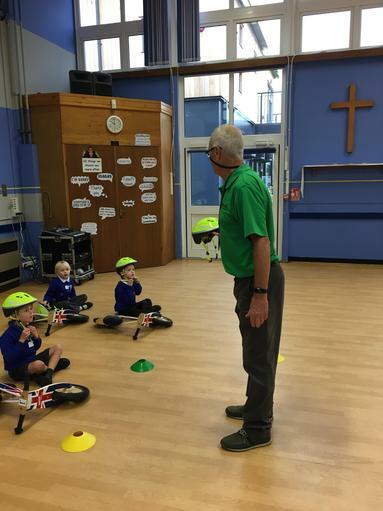 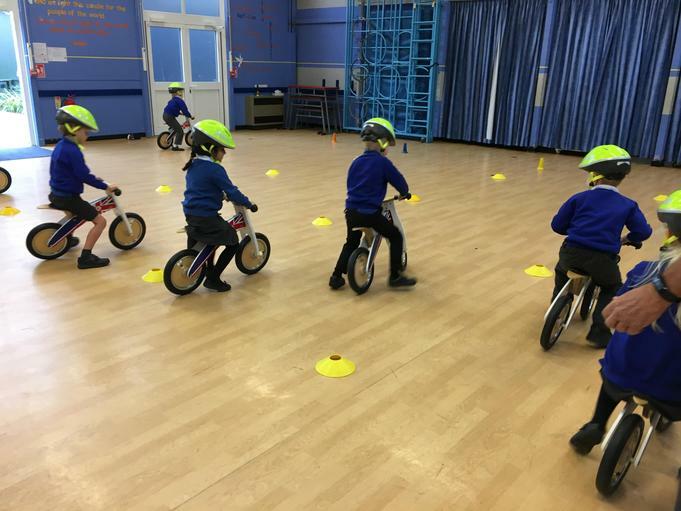 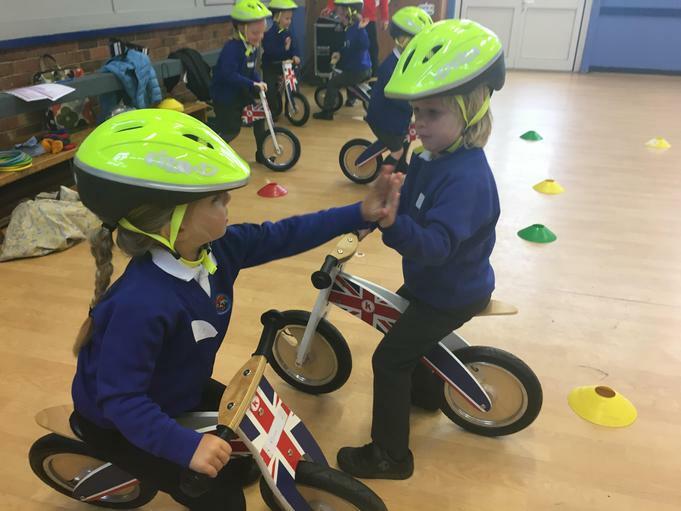 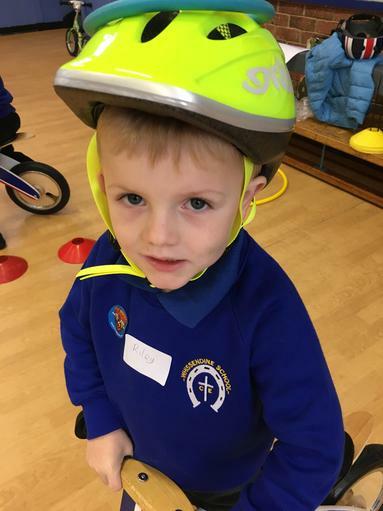 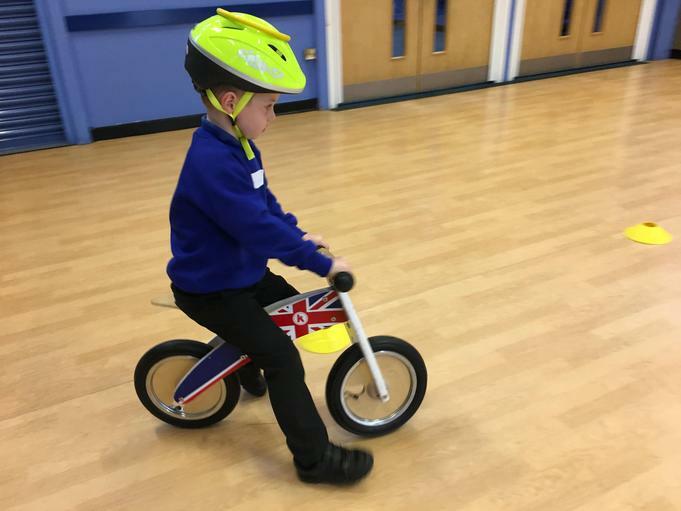 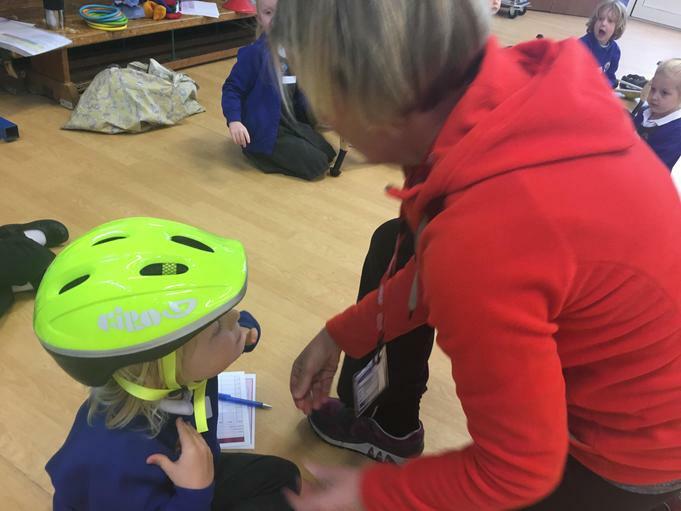 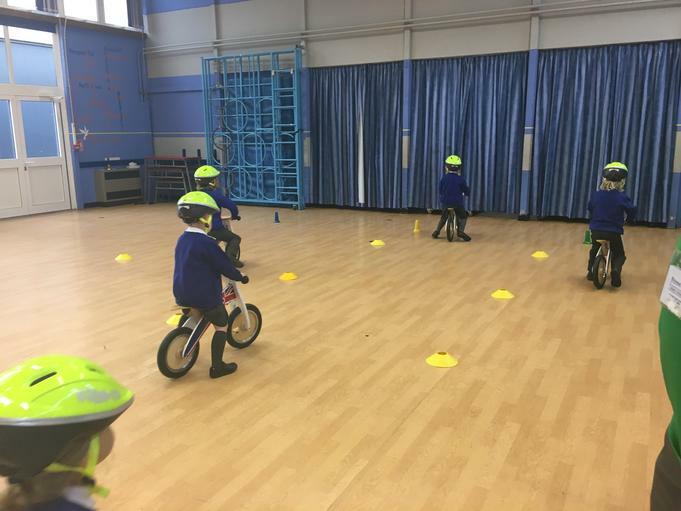 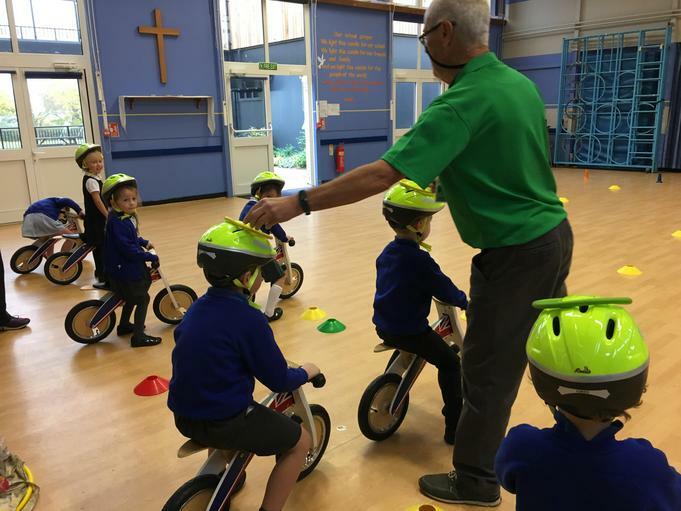 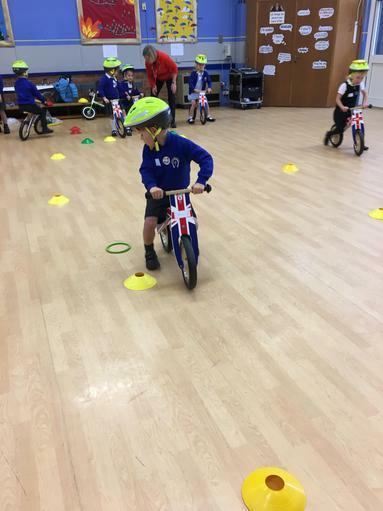 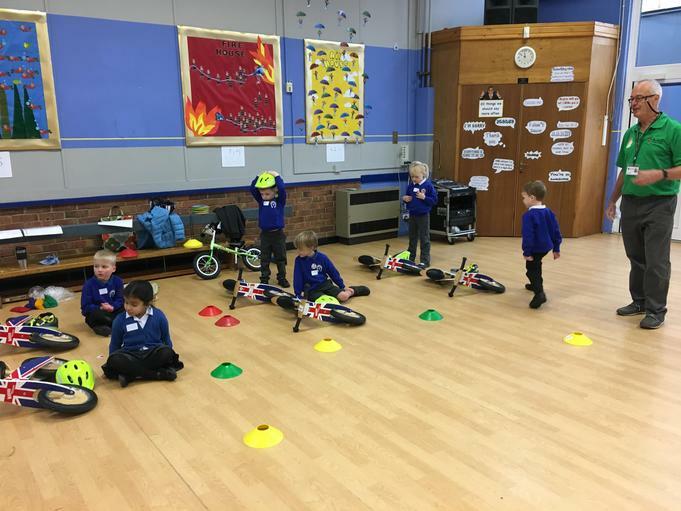 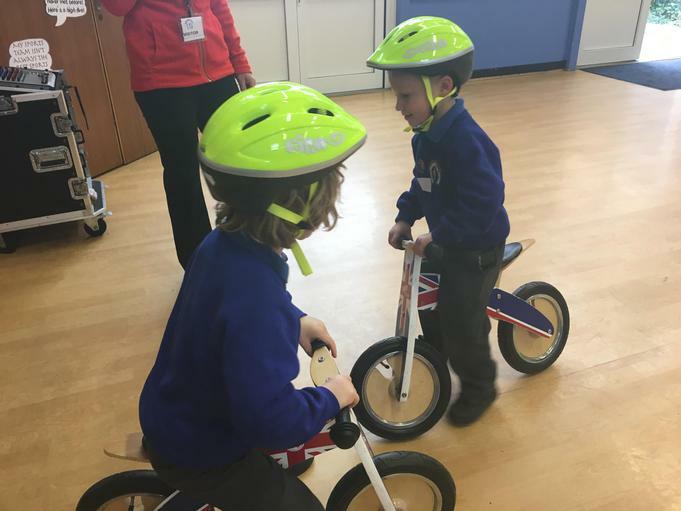 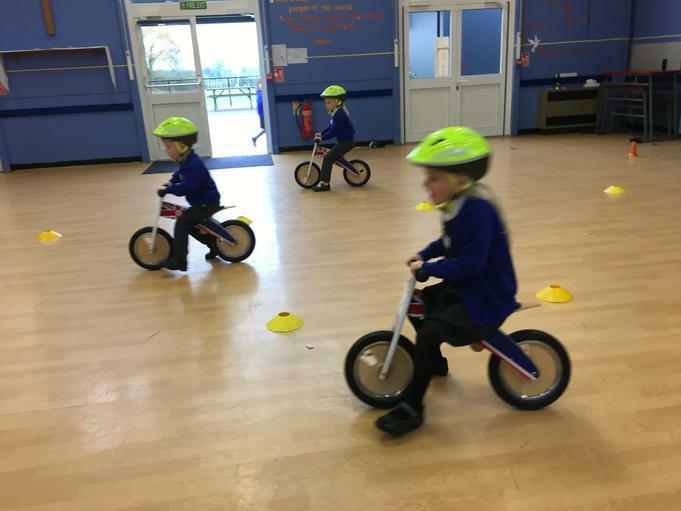 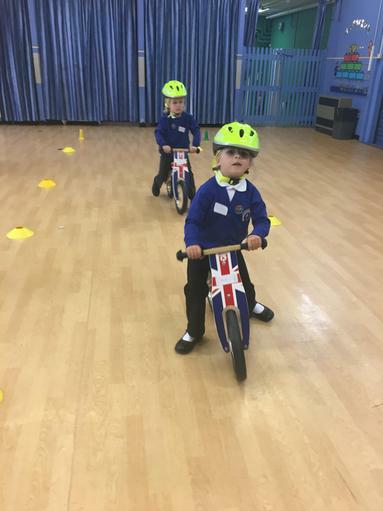 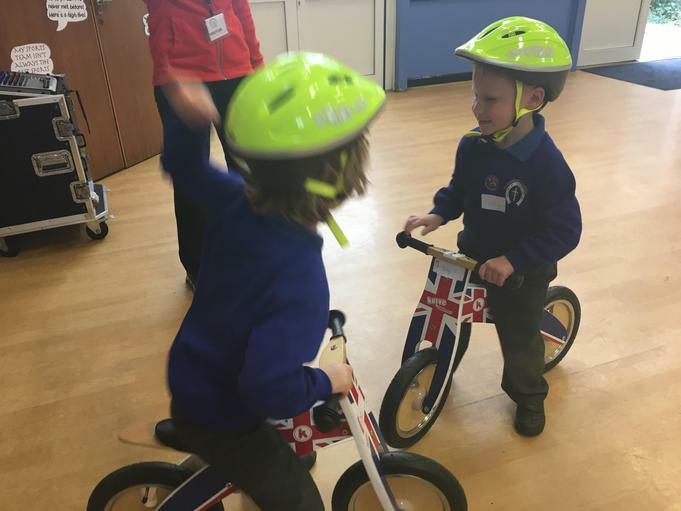 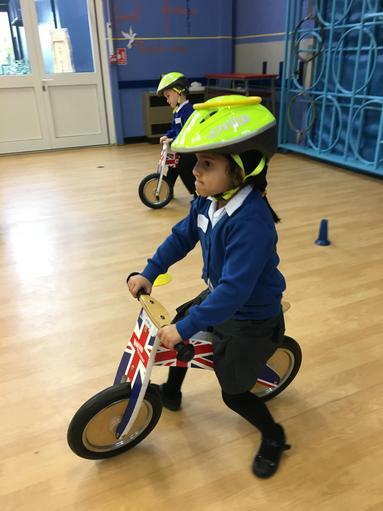 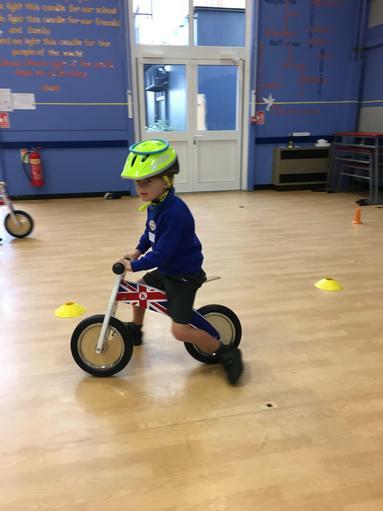 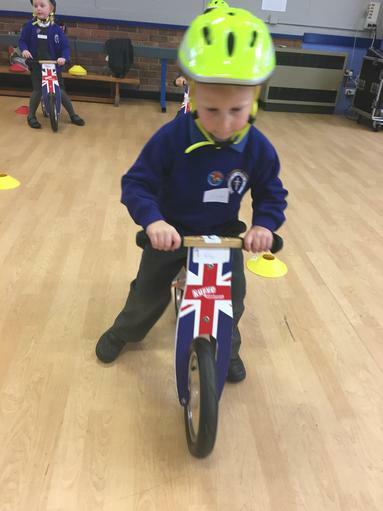 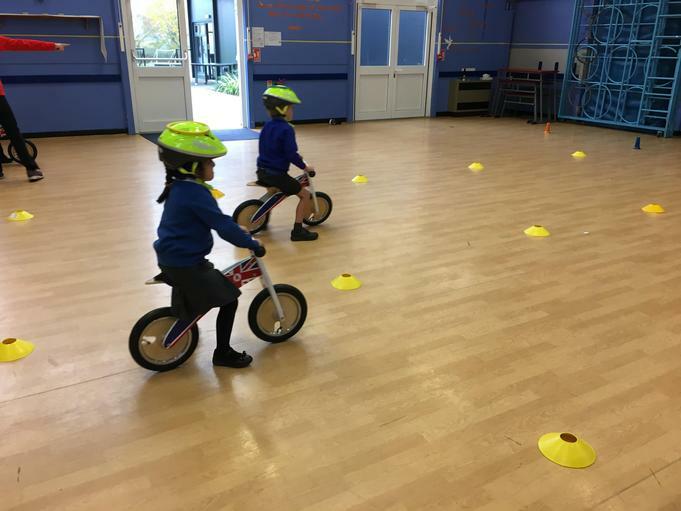 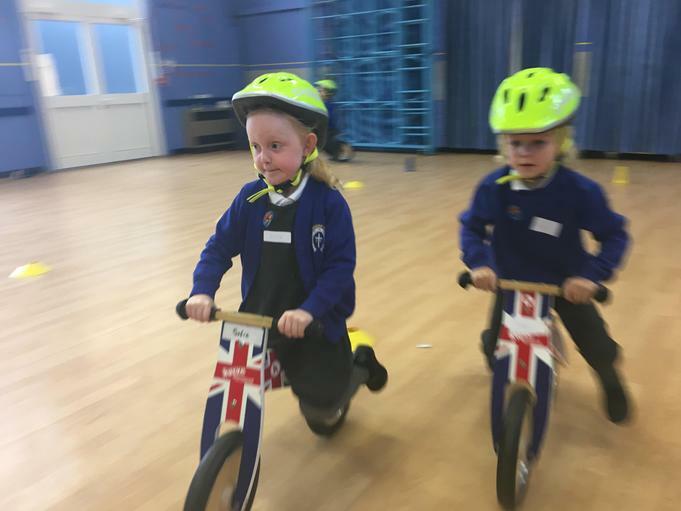 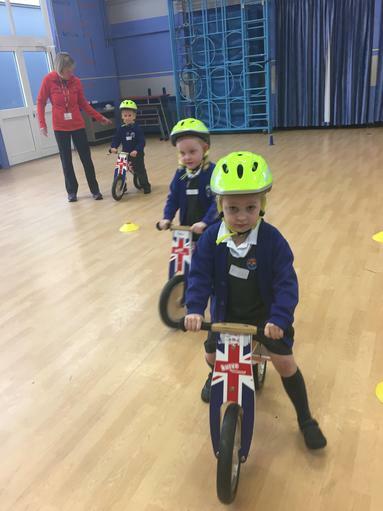 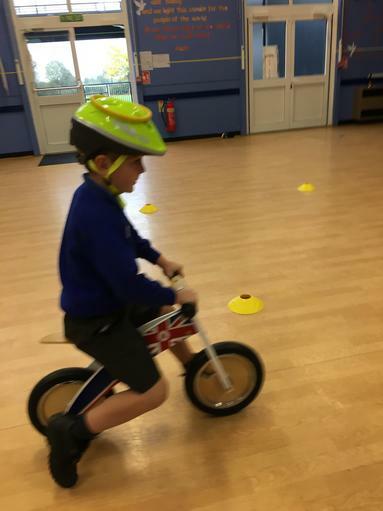 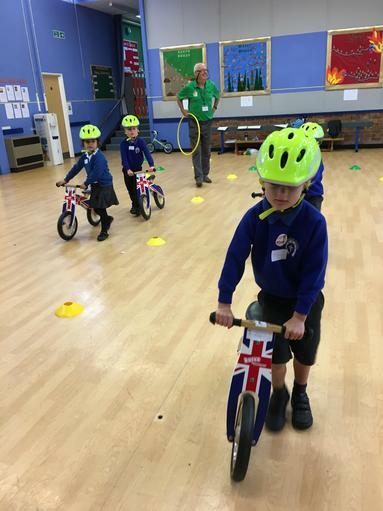 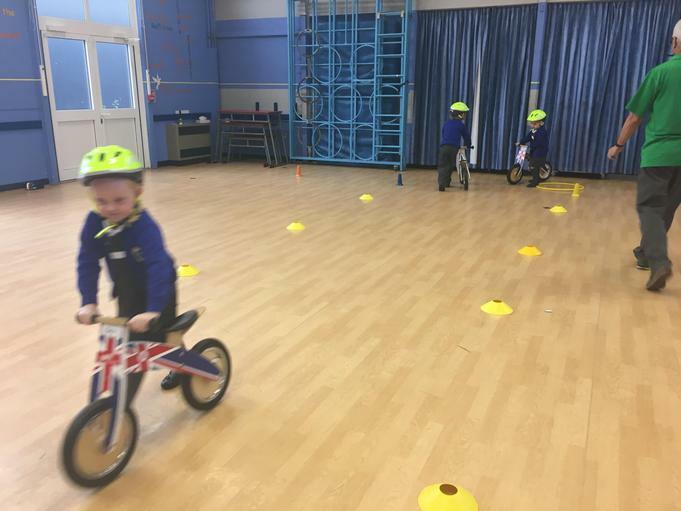 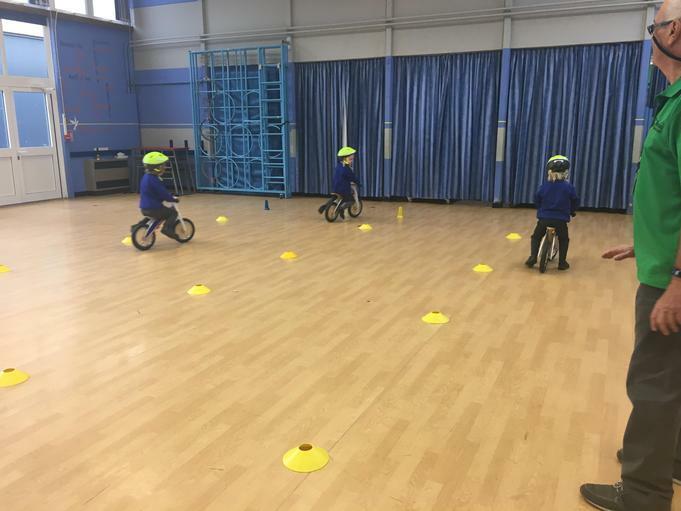 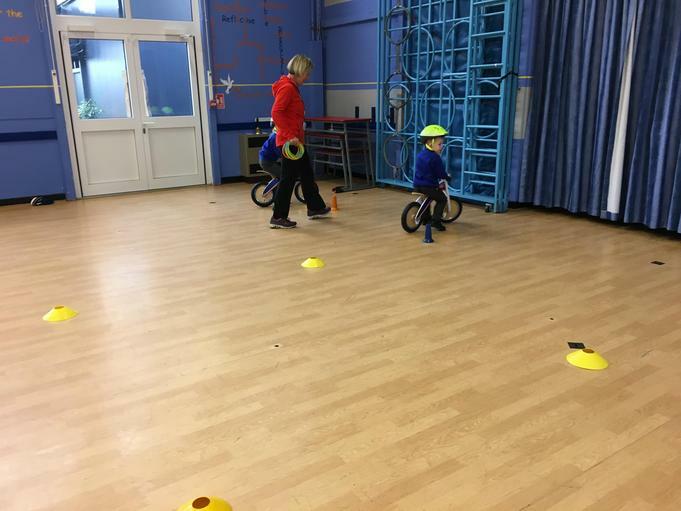 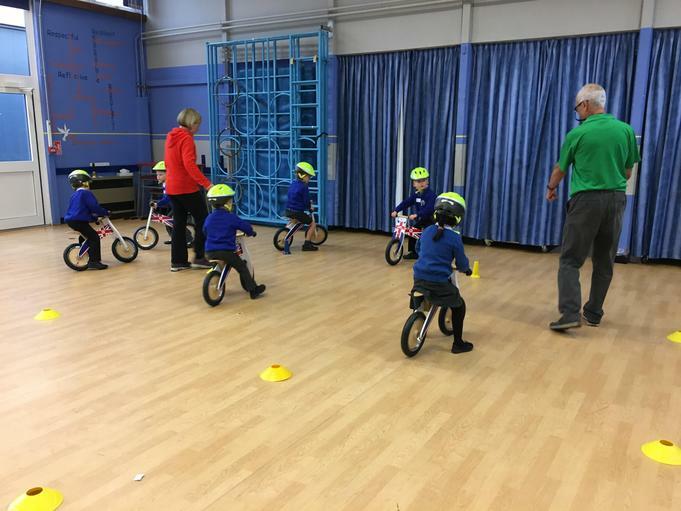 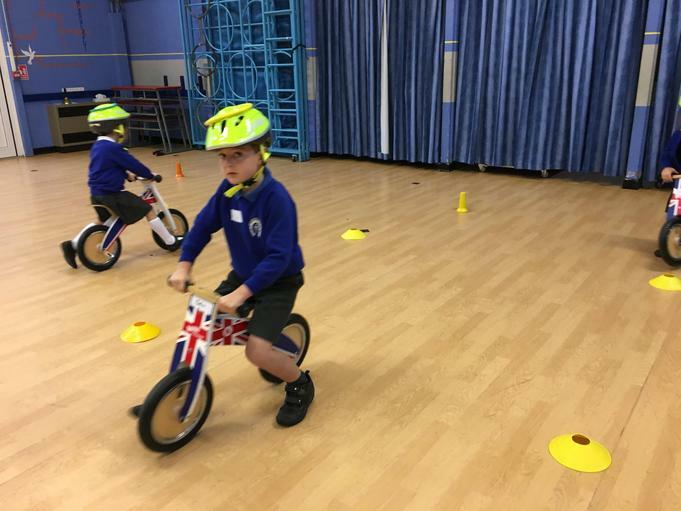 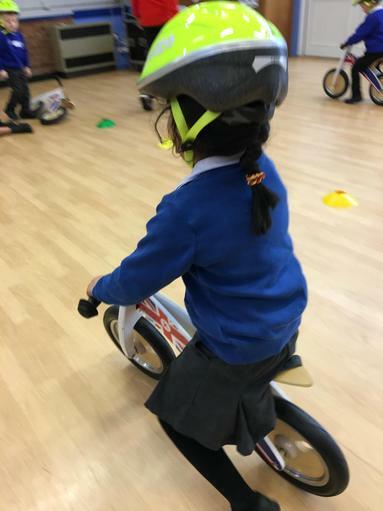 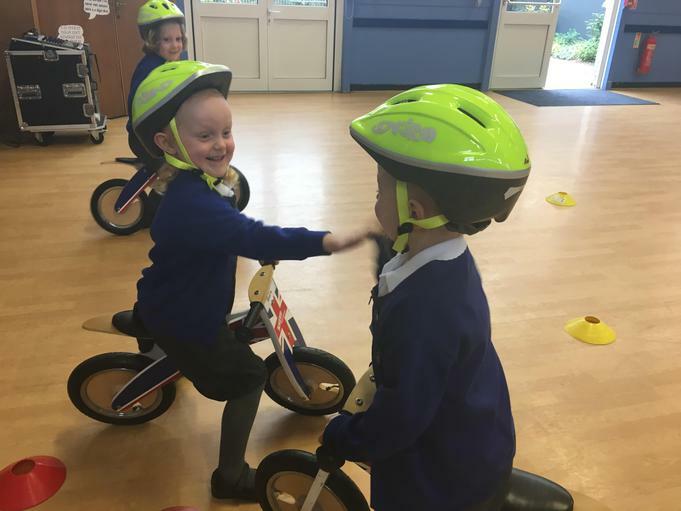 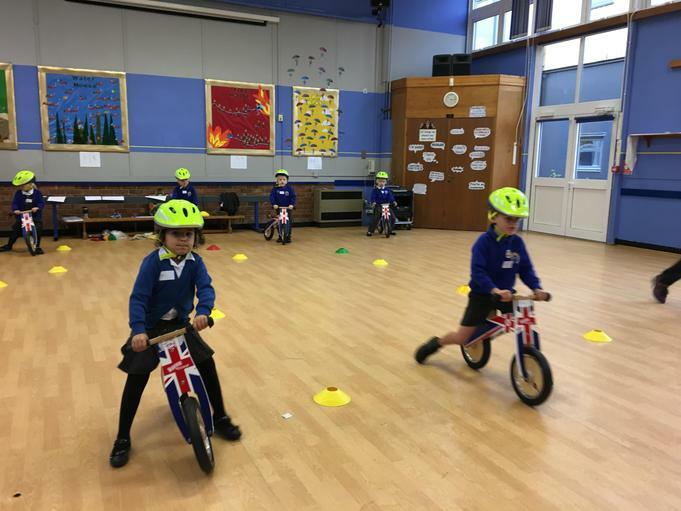 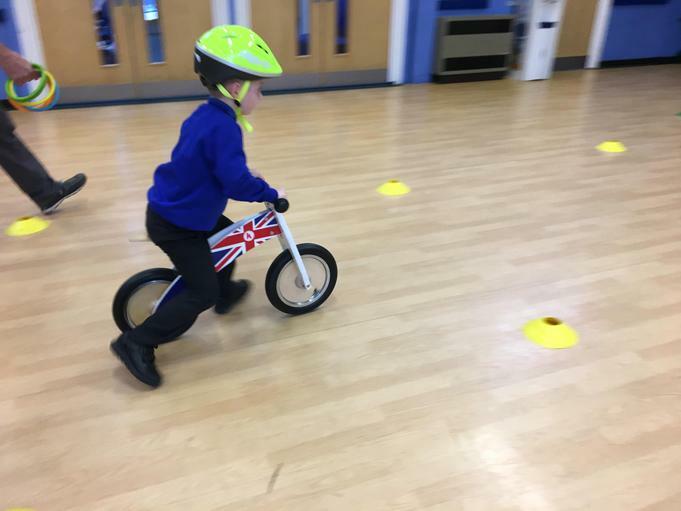 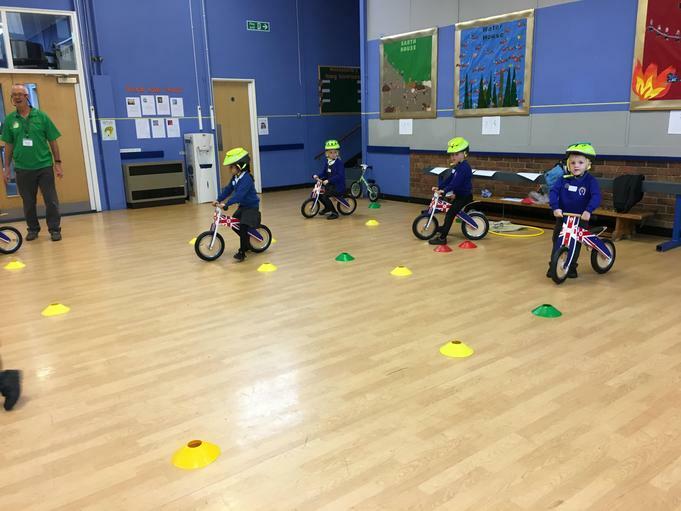 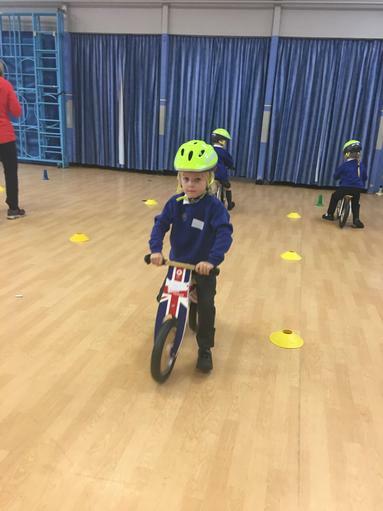 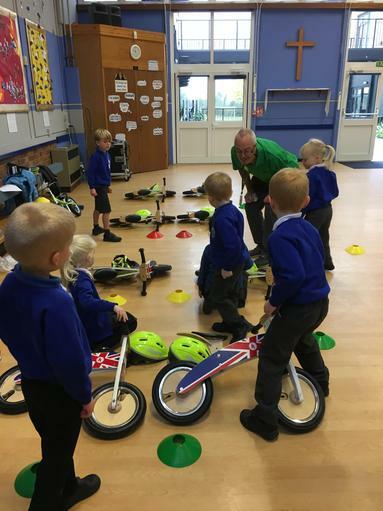 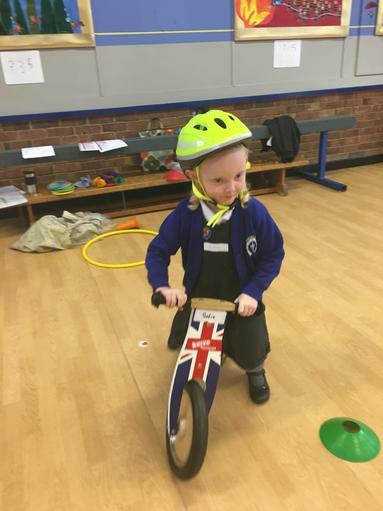 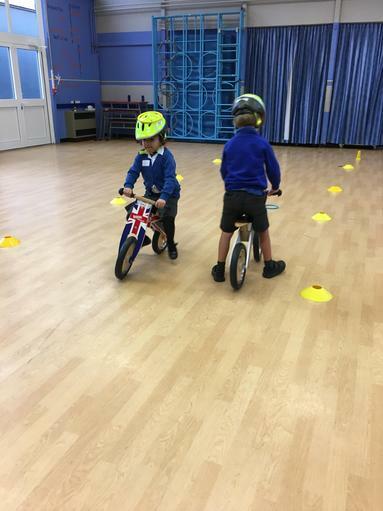 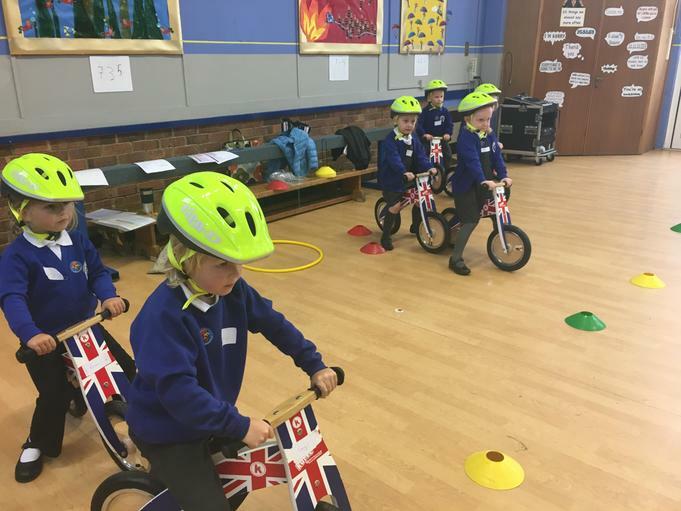 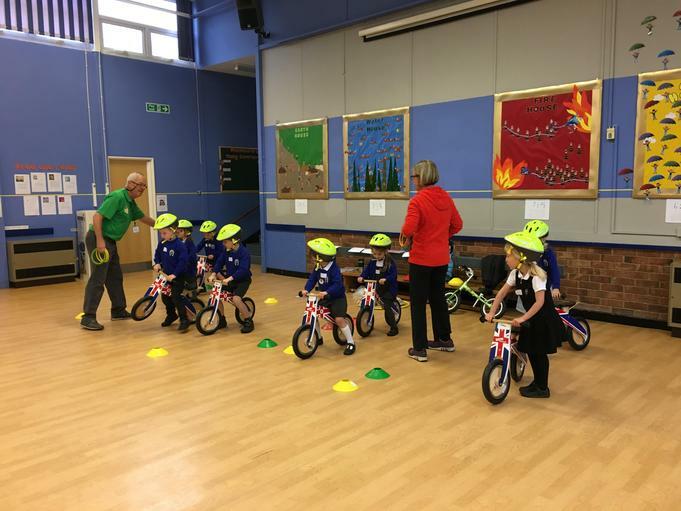 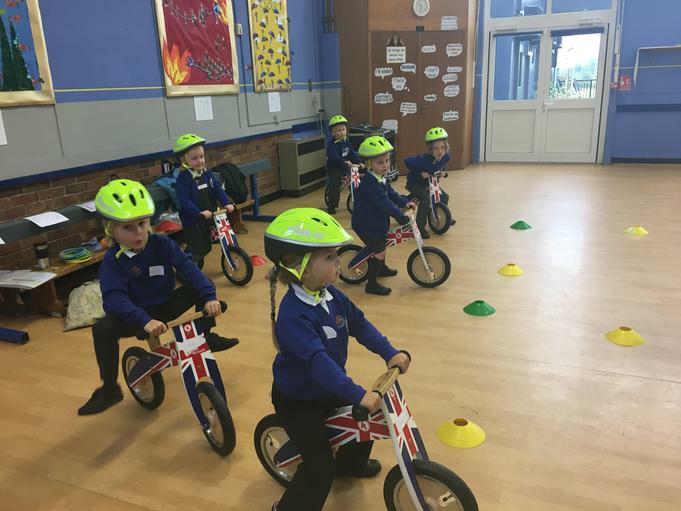 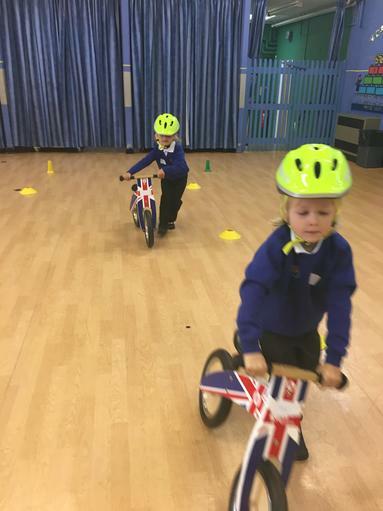 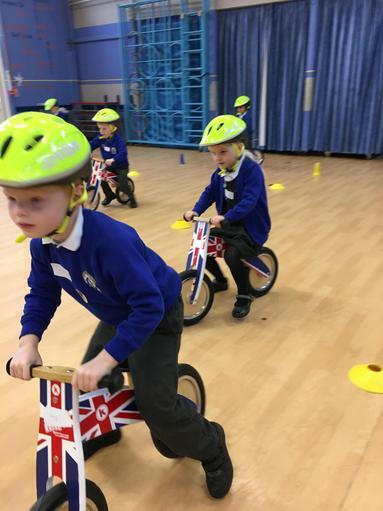 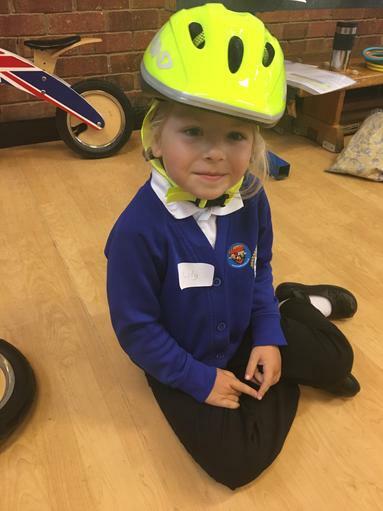 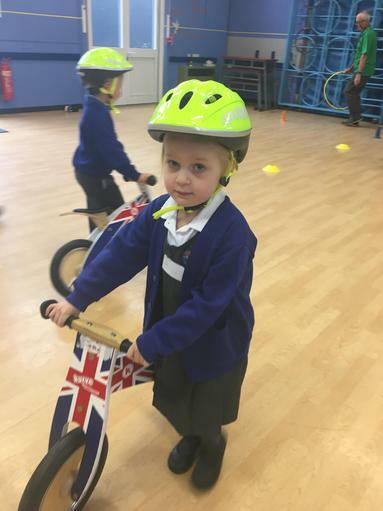 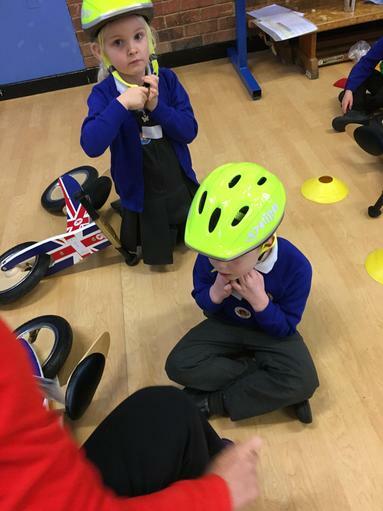 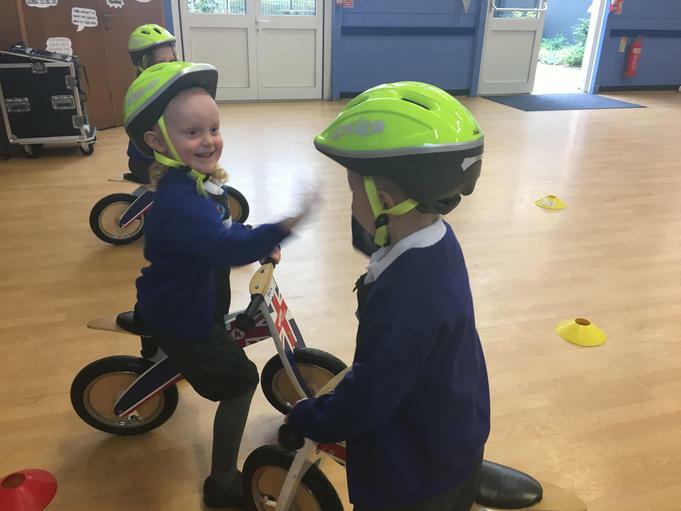 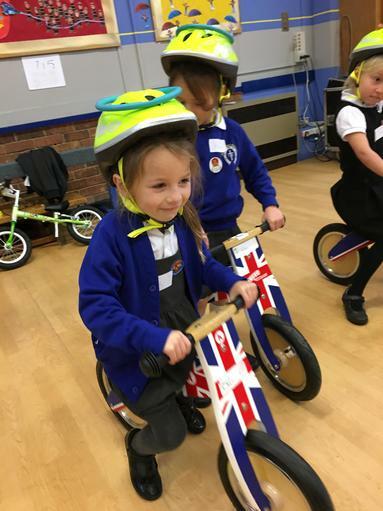 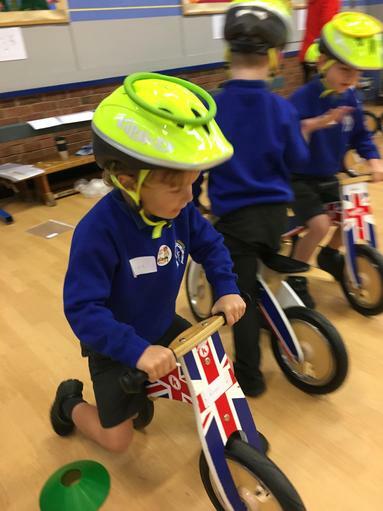 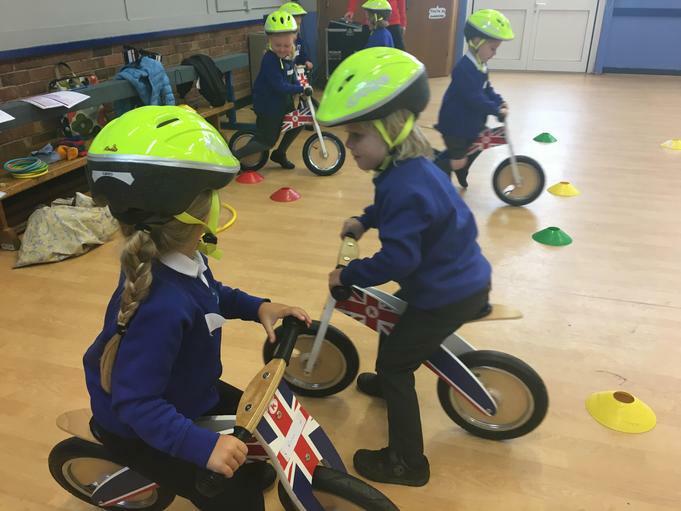 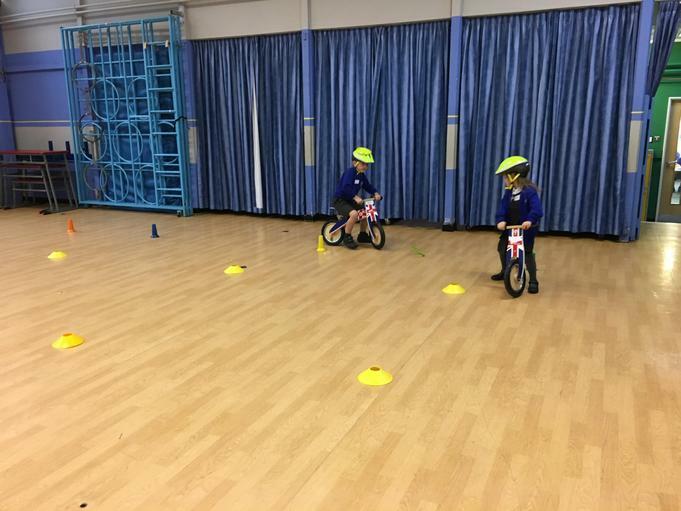 Harvey and Nicole told us all about the different bike parts and then put us through our paces! 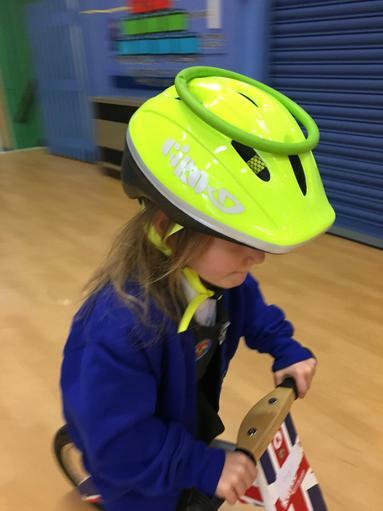 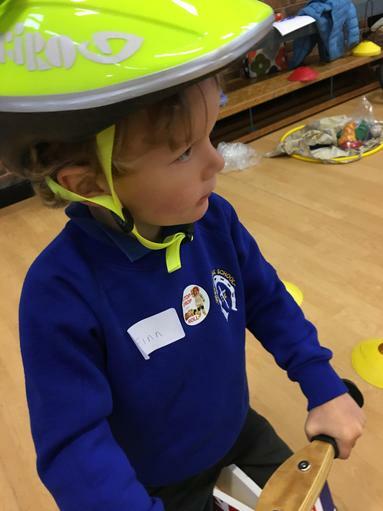 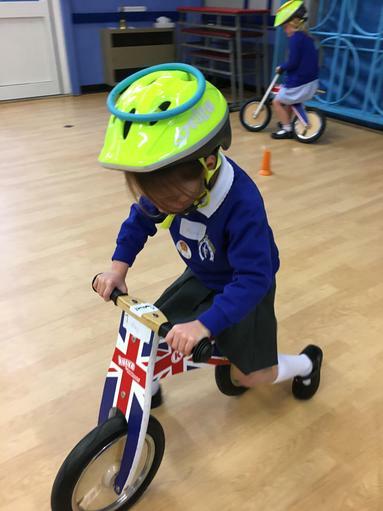 We focused on balancing (sometimes with a ring on top of our helmet) and sliding and gliding.